Press Release | SAP SE CEO Bill McDermott’s groundbreaking work in promoting gender equality has been recognized by the United Nations Association of New York. 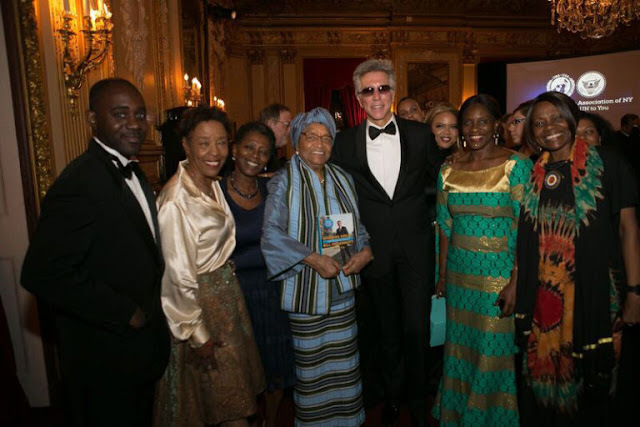 During a time when trust in public institutions and the will for global collaboration is at an all-time low, the United Nations Association of New York honored McDermott on Tuesday, alongside co-honorees who included former Liberian President Ellen Johnson Sirleaf and Sophie Gregoire Trudeau, wife of Canadian Prime Minister Justin Trudeau. The annual fundraiser, held at the Metropolitan Club in midtown Manhattan, brings together leading members from the diplomatic, corporate and NGO sectors to shine a spotlight on work intended to eliminate gender discrimination around the world. The United Nations Association singled out SAP in its effort to advance UN Sustainable Development Goal number five, gender equality, through innovation and technology. This goal is one of 17 set by the UN as part of its 2030 agenda. The award called out SAP initiatives such as EDGE certification, Girls Who Code and Business Beyond Bias — the use of machine learning capabilities in SAP SuccessFactors solutions to detect and eliminate unconscious bias in HR processes — as part of the rationale for the award.